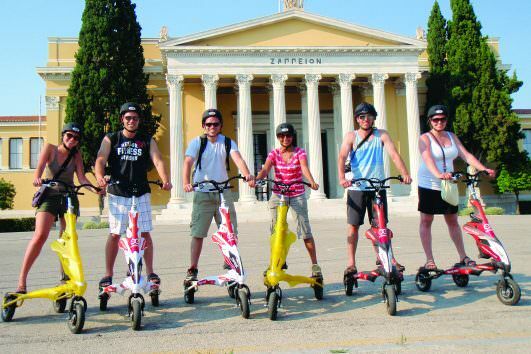 Behold the wonders of Ancient Greece on this Scooterise tour of the UNESCO-listed Acropolis of Athens. 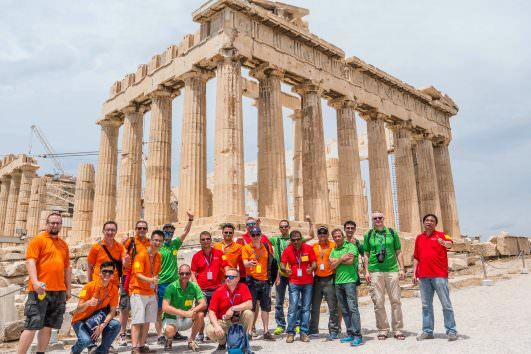 With an expert guide, start the walking part of the tour and discover one of the world’s most famous archaeological sites. 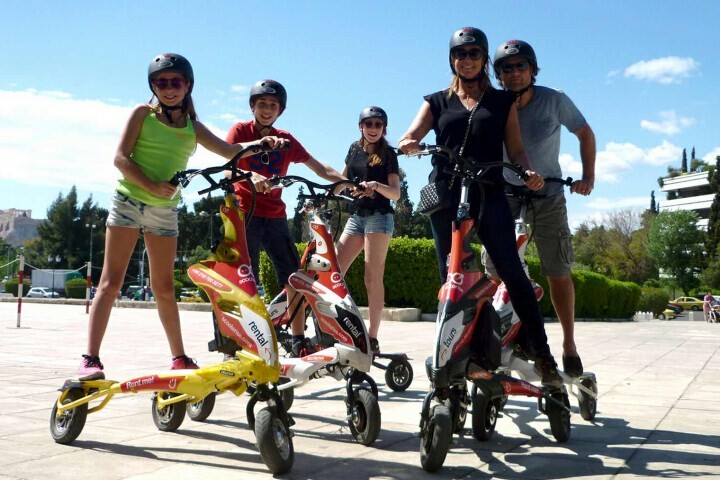 Visit the Theatre of Dionysus and see Dionysus Sanctuary. 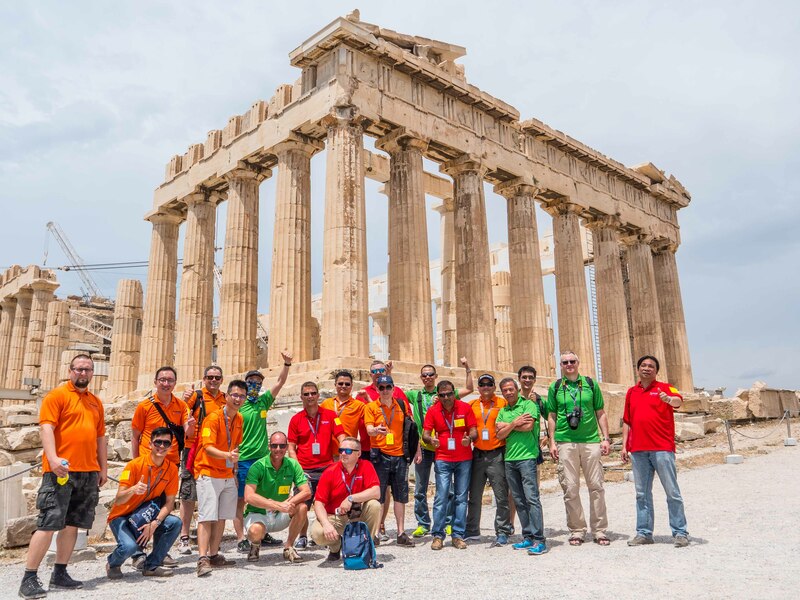 Then, stroll to the Acropolis summit, stopping at monuments such as Propylaia gateway, the Temple of Athena Nike and the acropolis’ crowning glory: the Parthenon. 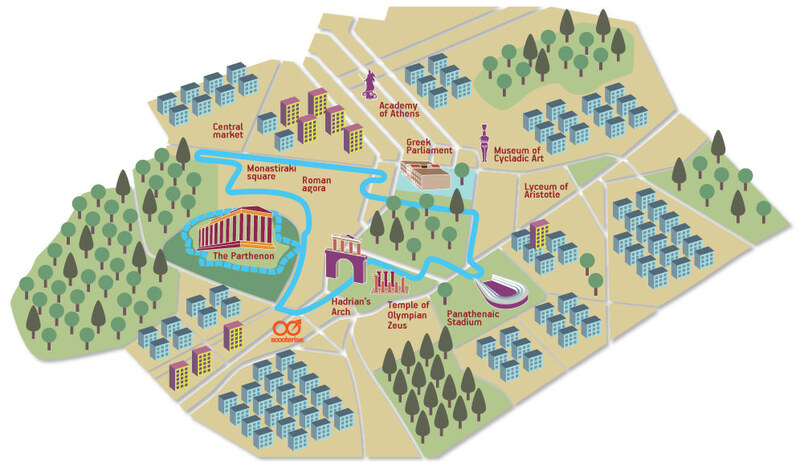 Absorb sweeping panoramas of the city below, and learn about the citadel’s ruins as well as excavation efforts from your guide. 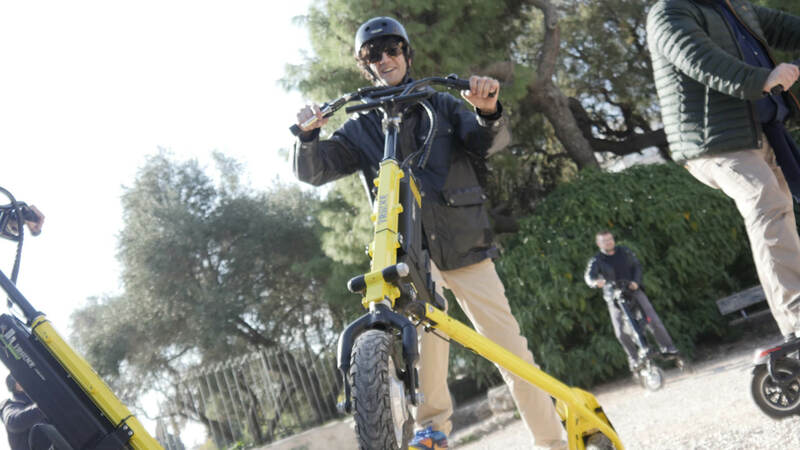 After a small break start the second part of the tour: Trikke Ride! 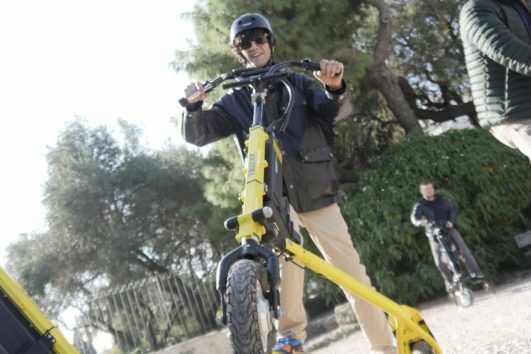 The 3-wheeled electric Trikke can be ridden easily by anyone, including children. 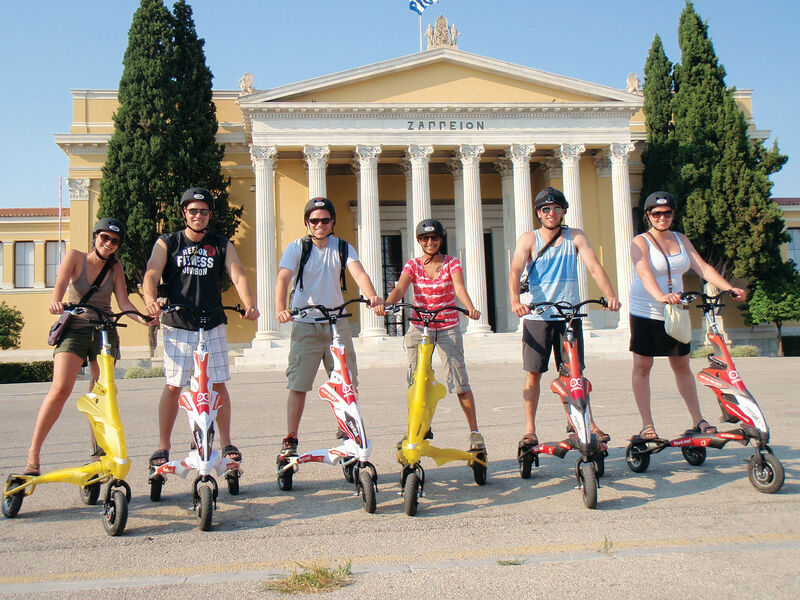 Have an exhilarating ride and marvel at some of Athens best sights. 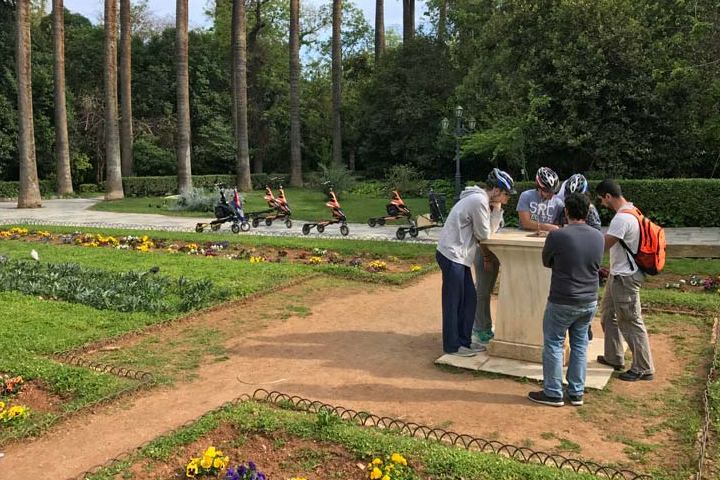 Visit the Hellenic Parliament and see the famous Evzones standing guard at the Monument of the Unknown Soldier, ride on towards the National Gardens, the beautiful Zappeion Hall, and visit the surviving columns of the Temple of Zeus and Hadrian’s Arch. 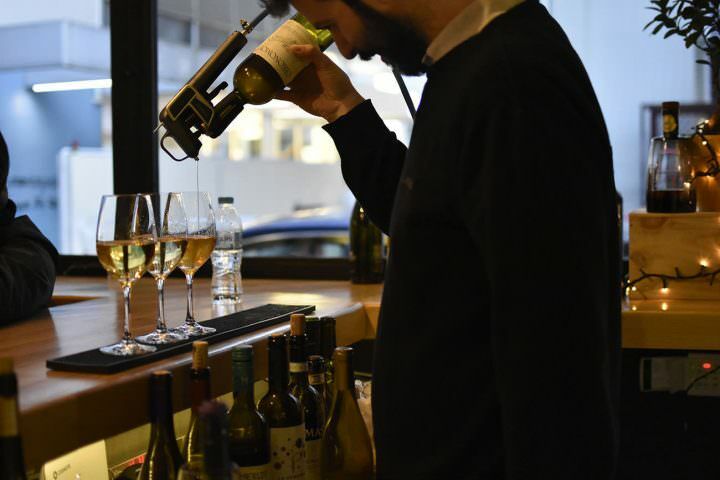 Finish your journey after your visit of the markets in Monastiraki area and get a feel for the atmosphere in the narrow streets of Plaka, the oldest neighborhood of Athens. 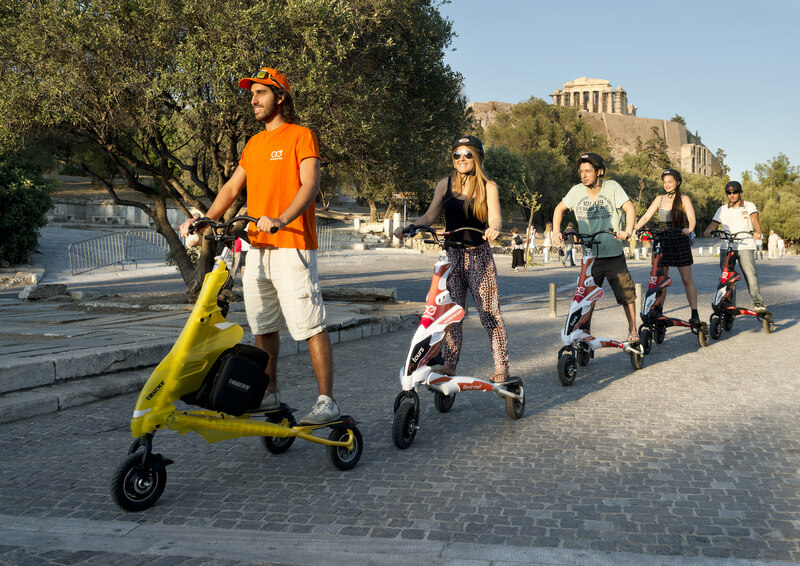 This tour combines perfectly riding the intuitive and easy to ride Trikke as well as a walking tour of the Acropolis. 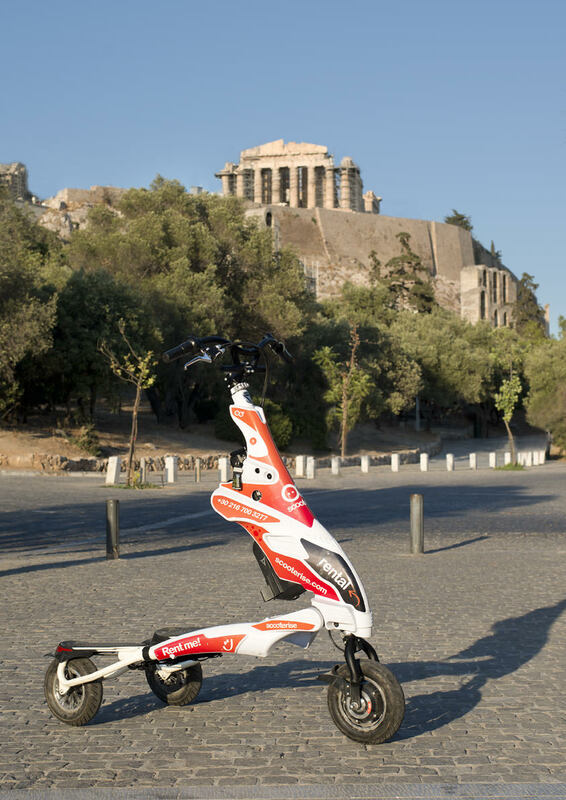 *Entrance fee for the Acropolis Hill is not included. Free admission for children under 18 years old.